The pearl is once again quickly taking over the fashion scene, and women everywhere are scrambling to get their hands on them. Fashion magazines like Vogue, Elle, Allure and Vanity Fair have even gone as far as saying that pearls are in the middle of a renaissance. It’s not hard to see why, either. What’s not to love about pearls? Simple, elegant, affordable (mostly), and easy to pull off no matter what your go-to style is. Looking to get in on the trend? We’ve got you covered. Here are some tips before you go scouring the stores looking for new studs, necklaces, and bracelets. From Golden South Sea to Tahitian Black pearls, you’ve got to do your research. Never plunk down a credit card before doing a little background digging. Pearls come in dozens of varieties, and each carries its own price tag. Plus, there are dozens colors and shapes to choose from, so find something that works well with your skin tone and suits your style. Speaking of, make sure you are buying from a reputable company. Unfortunately there are a lot of scammers out there, and it’s all too easy to take advantage of an unsuspecting online buyer. 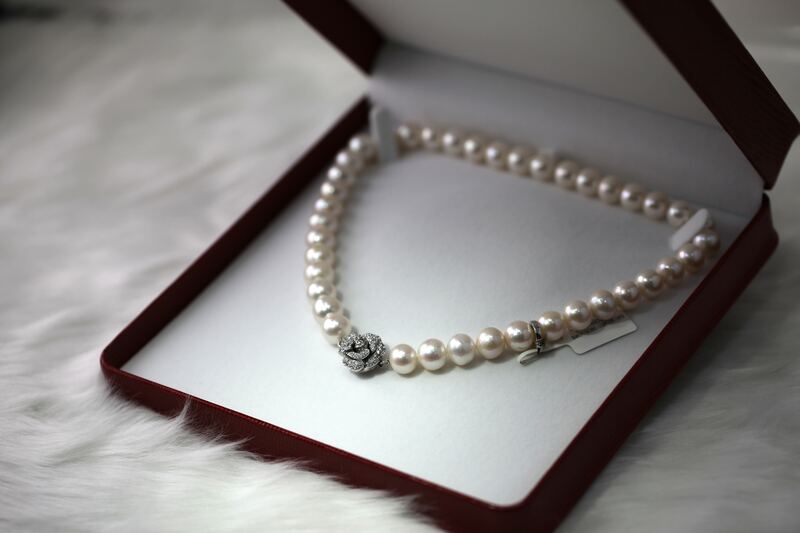 Your pearls should come with a certificate of authenticity and should clearly state the grade/quality of the jewelry you are buying. For more info on pearl grading, check out this handy guide from the Gemology Institue. Keep it simple. We can’t stress this enough. There’s no need to dive in with an investment of thousands of dollars. Instead, start with freshwater studs or pearl necklaces. Today’s freshwater selection is typically high quality and just as beautiful as anything else you’ll find, but at a fraction of the price. Here’s the problem with fake pearls: Everyone is going to know they are fake, and they’ll be able to figure it out rather easily. They look and feel cheap, and they have absolutely none of the lustre real pearls are known for. They don’t glow or shine like the real thing, and you’re not going to pull off the look successfully if you skimp. That said, there’s nothing wrong with cultured or freshwater pearls. In fact, the cultured pearl industry is buzzing, and you can get high-quality pearls for a fraction of the price of their natural counterparts. The Pearl Source is a good option for all sorts of pearls, but their freshwater pearls selection is pretty legit. Chunky jewelry is not in style, and we hope it never comes back. Instead, layer long strands of pearls at varying lengths for a sleek look that can be worn in the office, running errands, or to Sunday brunch. You really can’t go wrong with this look. Also, feel free to stack. Layer gold and sliver simple rings with pearls for a bohemian look that will please everyone (including your wallet). Remember are point from above? You don’t have to spend a ton of money. Pearls have shaken their conservative, formal reputation. Try pairing different colors with dressed down styles. Tahitian black gemstones go well with denim – and for that matter so do traditional shades of white. Blues and greens work well for the spring, especially when paired with floral patterns. Don’t be afraid to shop for pearls strung on leather and even twine. It’s a great way to dress down pearls.